Why Study Guitar & Ukulele? Have you ever wanted to be a rock star? Compose and perform your own songs? Electric guitar, acoustic guitar, or ukulele lessons are a fabulous way to learn a staple instrument in contemporary and popular music. 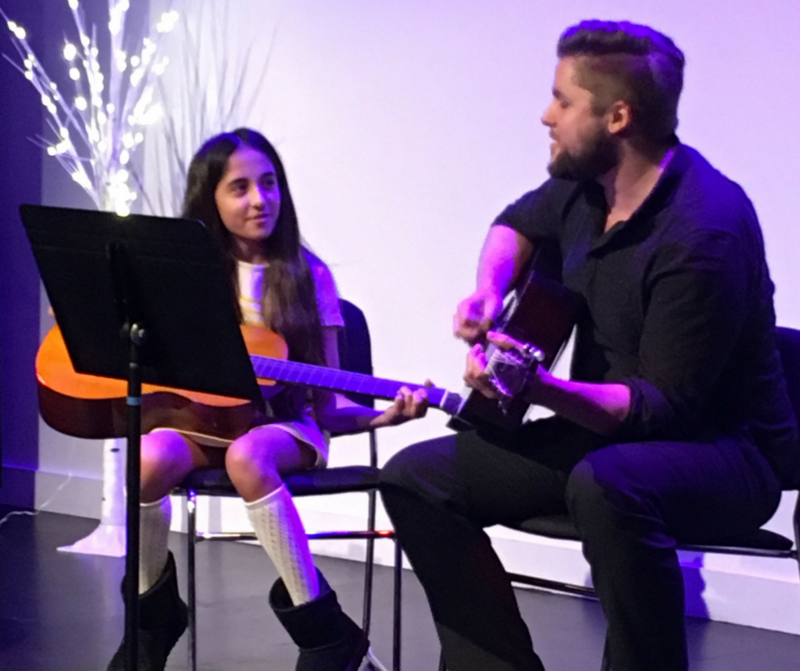 Using fundamental electric guitar and acoustic guitar skills, you can learn to play your favourite songs, arrange your own original tunes, and perform with rock-star confidence. Ukulele is the perfect instrument for young aspiring guitar players, or for singer-songwriters who want to write and perform original songs. No matter your skill level, Bravo Academy guitar and ukulele instructors will teach you how to shine! 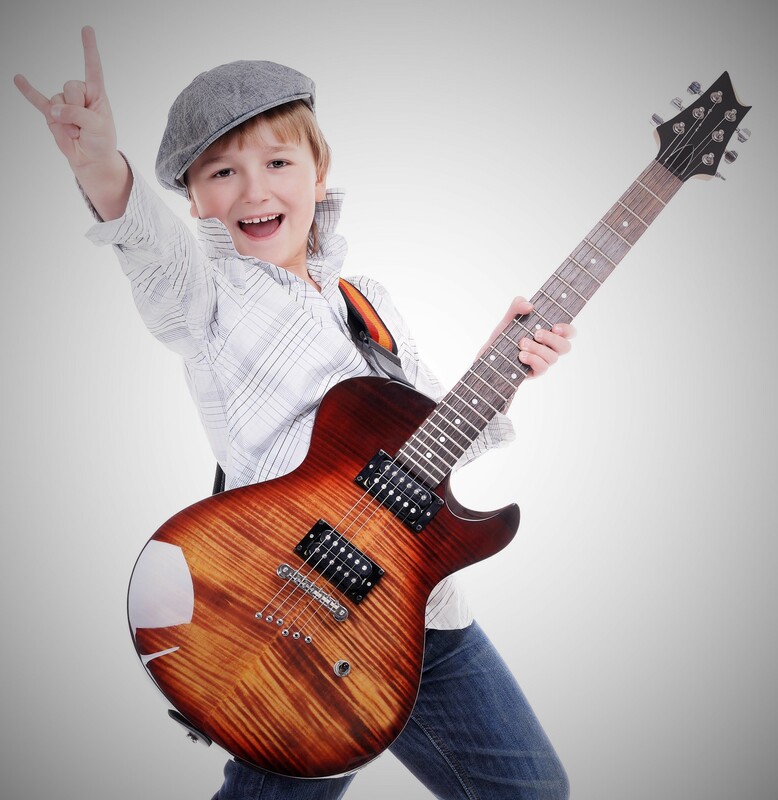 Who Should Take Guitar & Ukulele Lessons? Guitar and ukulele lessons are for anyone at any level who wants to learn instrumental skills and have fun playing music! In addition to regular private lessons, our instructors offer occasional coaching sessions. Coachings focus on rehearsing specific material in preparation for a performance or audition. Instructors offer feedback on technique and style, as well as overall performance. If you’re interested in booking a coaching session, please contact admin@bravoacademy.ca for rates and availability. Todd Elsliger has been working as a musician and teaching guitar for 25 years. He has a Bachelor of Jazz Performance from the University of Toronto where he studied guitar, arranging, composition and ear training with Lorne Lofsky, Kirk Macdonald and Don Thompson among others. 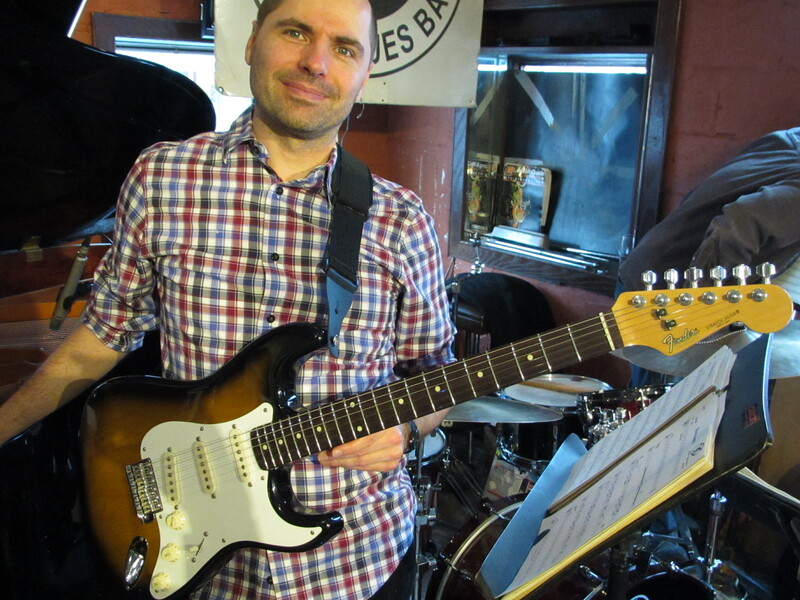 Apart from work as a freelance jazz musician, Todd has been a long time member of the Toronto Jazz Orchestra, the Chris Hunt Tentet, and various other pop/rock/blues/funk/folk bands that perform regularly. Todd is also a prolific songwriter and composer who has written and produced several albums of his own music and for other artists; including a rock and roll musical which is in development. 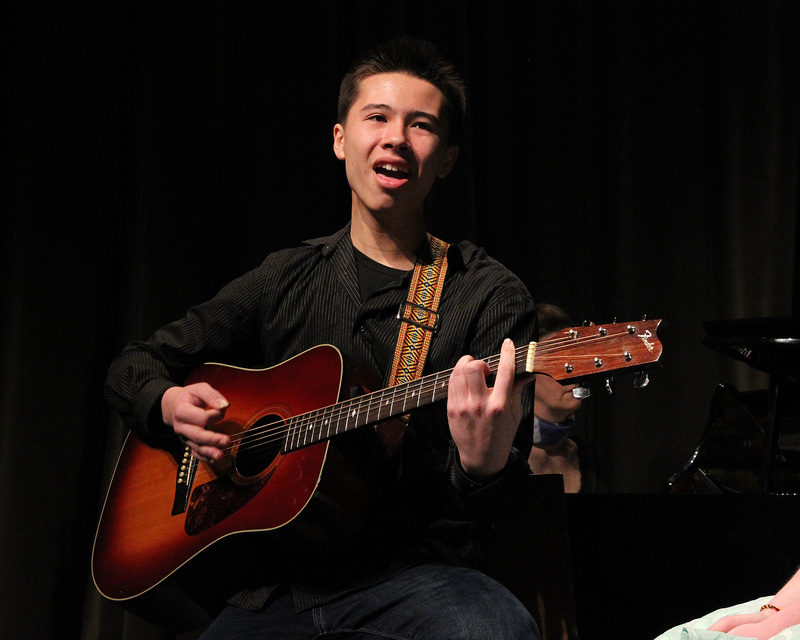 Todd is a dedicated teacher who especially enjoys mentoring young singer-songwriters, and aspiring improvisers. He brings patience and enthusiasm to each lesson, and has developed many proven strategies for success. Every student is different, so each lesson is approached with the student’s individual goals, strengths, and personality in mind. Our teachers work with individual students to craft customized lesson plans. Every student has their own goals for music study. We encourage many students to pursue Royal Conservatory of Music certification. The Royal Conservatory of Music (RCM) Certificate Program is a standardized approach to music education available across the country. Students work through each grade level, practicing performance technique and music theory, gradually improving their performance skills with a thorough and challenging curriculum. RCM certification is recognized across Canada by most major music programs and training facilities, and is recommended for students pursuing music at a secondary or post-secondary level. RCM certification at a certain level may also be recognized as high school or post-secondary credits. Our instructors are qualified to teach RCM and can tell you if RCM is right for you, as well as providing exam preparation and assisting in material selection. Ask your instructor is RCM is right for you!